The first step to any successful online marketing campaign is nailing the design of the creative to resonate with the target audience. If the design doesn’t catch their eye and make them feel like they are in the right place, nothing else matters. 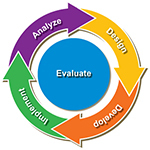 That’s why we also start every project with a design and development phase. We research the target audience, understand their sensibilities and put together a creative that draws them into your message and offer. The worst thing you can do is develop a creative that looks pretty but is an expense instead of an asset. Here at Meliss Marketing, we offer the complete A-to-Z package to build your marketing assets that will have a flood of your dream clients rushing to your virtual door. Whether you need a website, branding, or anything in between, we can design and develop an online presence for your company you can be proud of and will stuff your wallet with cash. At Meliss Marketing we want to take the load off your shoulders. We know how important your business is to you and that’s why we offer all your marketing services from A-Z. Seasoned businesses begin with our “All Things Facebook” package where we design beautiful ad creatives, ad copy, landing pages, sales pages, and email automation so your marketing initiates operate effectively allowing you the opportunity to run the parts of your business that emphasize your strengths. Ask Us About Our Printing Packages!